This is a skin care product that I use. I have combination/oily skin, so the first thing I look in a product is that it is Oil-free as any oil in products will break me out and will make me even oilier. 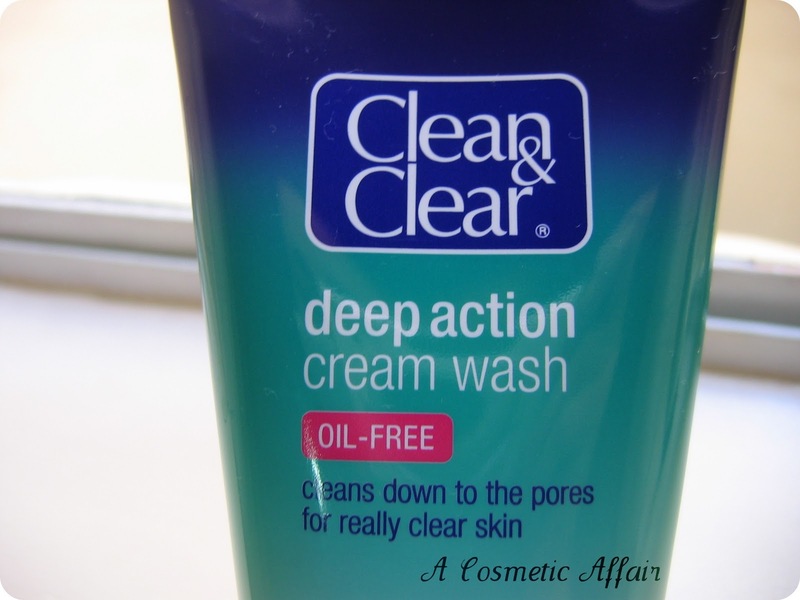 The Clean & Clear Deep Action Cream Wash was a purchase I made after I had used the Dermalogica Dermal Clay Cleanser which is the first deep action cream wash that I have ever tried. Since the Dermalogica one is a little expensive I was on the lookout for more affordable but just as effective products. I also got the Noxzema Cleansing Cream which I loved, but I was still on the lookout for more products to try out, since they were being so effective. 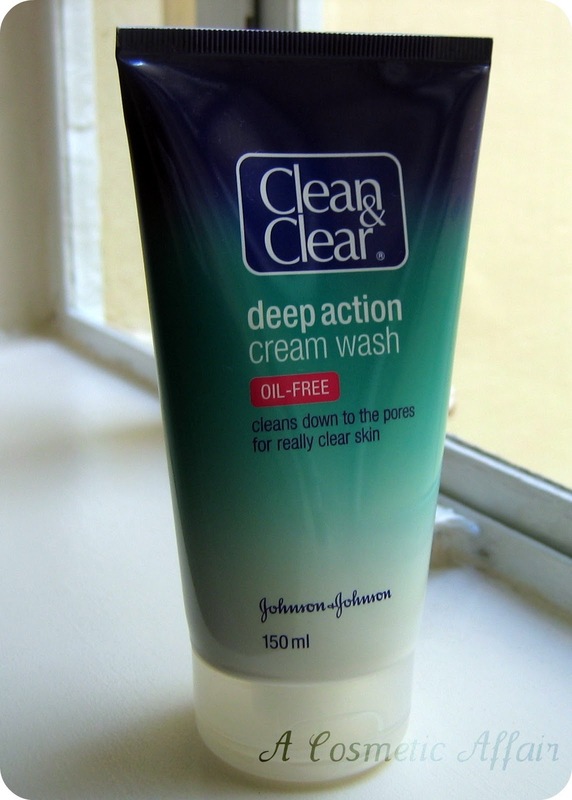 The Clean & Clear Deep Action Cream Wash is not as powerful as the Dermalogica or as the Noxzema however I still love it as it is more effortless. The product comes in a hygienic tube where you get 150ml of product. With this product, a little goes a long way. I apply it with my hands on my face, without wetting my face beforehand. The product is a cream/foam white consistency that feels very light on the skin and it smells very fresh. You can apply it and leave it on for a minute or so for a fast face mask, but it does not dry on the skin, it more sinks into the skin and is absorbed for a more in-depth cleanse. Since this product is not so powerful, I can use it when I have dry patches on my face as it does not dry my face at all, unlike the Noxzema one which it sometimes tends to do. I have been using this product for some months now and I have already finished this tube and re-purchased a new one. This is the first product I have ever tried from this brand as it is not found where I live. I am also trying a new product (for me) from Clean & Clear which is a face scrub especially formulated for removing black heads. I will let you know how that works. I truly love this product and would recommend it for anyone who has oily skin or combination like me and is acne prone. 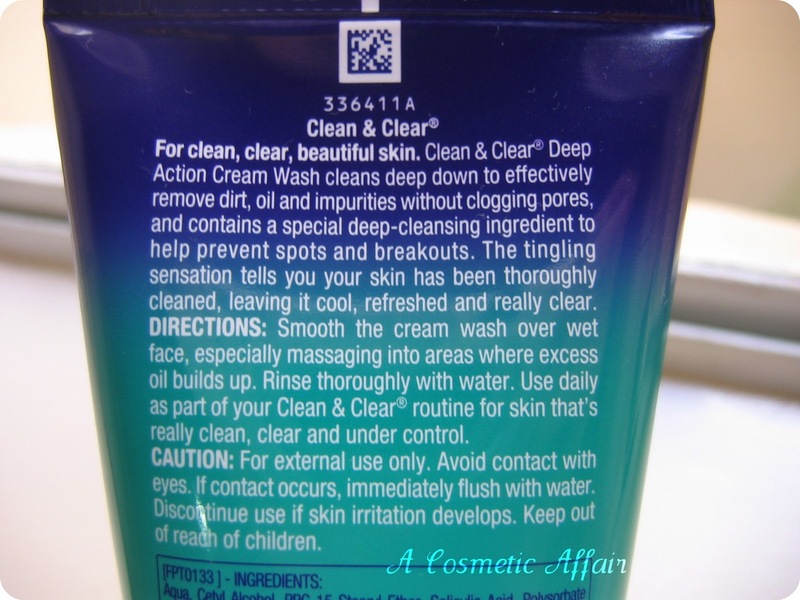 I also have very sensitive skin and this product is gentle enough to not cause any breakouts. I hope this was helpful and if you have similar skin to mine, maybe it will work for you too. I got mine from eBay. Have you tried this product? What do you think about Clean & Clear? I've used Clean and Clear when I was younger and loved it! It works well for me too. @Marie: thanks for stopping by, I have bought the scrub too and it works really well. @Beauty shades: hope you love it too. @Pheobs: I use a more powerful one twice or three times a week but I love to use a scrub everyday and it cannot always be super powerful.